Need more information about booking Home 7323841 ? 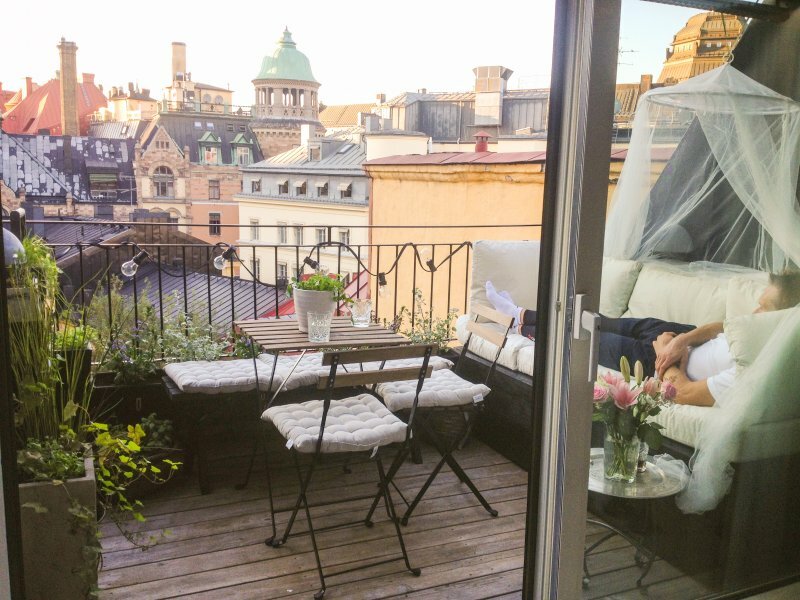 Newly renovated furnished rooftop apartment with an amazing roof top terrace and a spectacular view over Stockholm. Located in the very centre of Stockholm between Norrmalm and Östermalm, within 3 minutes walking distance to “Stureplan” and 10 minutes walking distance from Stockholm Central station. Excellent communications with both subway,railway and buses (including direct train and bus to Arlanda Airport) within a couple of minutes walking distance. Rental bikes just around the corner is a perfect way to explore the city. Some of the best restaurants, bakeries and coffee shops in Stockholm are located just around the corner. The apartment is situated on the top floor (with elevator) with two separate bedrooms and one big bathroom with both both shower and bathtub, floor heating, washing machine etc. The living room has a fully working open fireplace and a 55 inch LED TV with HiFi sound. Two bedrooms with double beds that each sleeps two and a nice sofa or extra mattress in the living room makes room for at least five guests. Spacious fully equipped newly renovated open plan kitchen with dining place for 8 persons. You can get in touch with Tobbe (the owner) through the contact form on this page. Send Tobbe (the owner) an email through the contact form on this page. Alternatively, if there’s a phone number on this page, you can call them. How do I contact Tobbe (the owner)? If you’ve already booked, go to Manage your holiday booking to view Tobbe the owner's contact details or send them a message. Or send Tobbe (the owner) an enquiry through the Contact the owner/manager form if you’d like a quote or more info first. When you pay online through the Book your stay form, a booking request is sent to Tobbe (the owner). You’ll find out within 24 hours whether they’ve accepted - no money will leave your account before then. You can also request a quote from Tobbe (the owner) through the contact form. The owner will email you the total cost for your dates and a link to book and pay online. Use the Book your stay form to pay provisionally online. You can pay by credit/debit card or PayPal. Tobbe (the owner) will have 24 hours to accept the booking and no money will leave your account before then. Why can't I call Tobbe (the owner) before booking? You’ll need to contact Tobbe (the owner) to do this. Send them a message in Manage your holiday booking or through the contact form on this page. You can request to change the dates or number of people on your booking via the Manage your holiday booking page. To change your holiday dates use the Edit booking button. If you need to change the number of guests staying then send Tobbe (the owner) a message. If Tobbe (the owner) agrees, they’ll send you a revised quote outlining the changes. You can review and accept/decline this from the Manage your holiday booking page. You’ll have 48 hours to take action before the revised quote expires. Estimated price per night based on a weekly stay. Owner fees of £43.00 per stay may apply. Enter your dates to see the total cost.